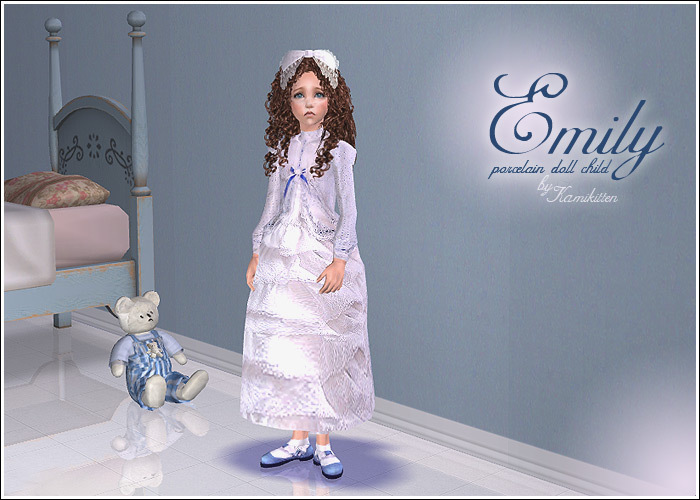 Emily is a Porcelain Doll Sim child inspired by the beautiful porcelain dolls of Diana Effner. Especially for Emily I've made a Porcelain Doll skintone basing on the skin by Ren. Also I made for her this beautiful dress full of furbelows and lace. Shoes texture (edited by me) by Judie at A.A.S. . Thank you for being so kind and letting me use it! 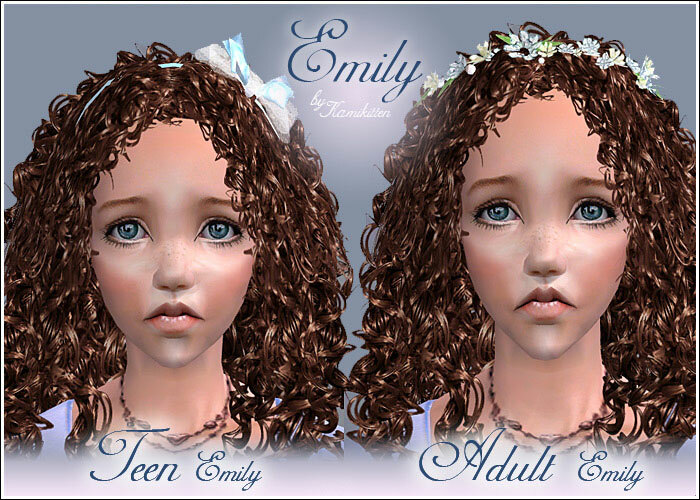 Feel free to use and redistribute the skintone in Sim package (with credit). Recolors are also ok but please, do not edit the face! Hair mesh is not included, you will have to get the mesh from S.A.U. S.A.U. is temporarily down so, the MESH link won't work untill the site is back up. Problems with installing this Sim? Use Sims2 Pack Clean Installer !